The Great Financial Crisis jumbled the global economy. Massive public and private debt, teetering financial institutions, anemic growth, sagging labor markets—all entangled with long-term forces of globalization and technological change—conspired to create a singularly complex policy puzzle. Economists and central bankers caucused, brainstormed, and debated and finally developed an elaborate (if desperate) plan. Absolute secrecy was a priority, so rather than publish white papers or produce policy frameworks, these experts created a small device. 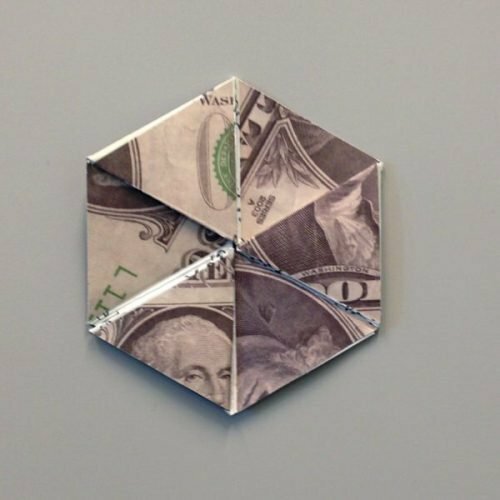 Simple and complex, small and expansive, playful and powerful: the Financial Hexaflexagon. QE flooded liquidity into the economy—not into the real economy, but into the financial sector. This liquidity had some of the desired effect, driving up asset prices. But the ambition of QE was not asset inflation per se, but rather the “wealth effect”—that elusive perception of affluence that stimulates consumption and investment. Over the years, technological change has depressed consumption and investment: media is streamed, homes bnb-ed, cars Uber-ed. And so a second round of quantitative easing was required. QEII prompted more asset inflation: Home prices rebounded, equity markets soared. And even though not everything felt quite right, on paper, the economy began to look a bit better. But today the core problem remains: the global economy remains burdened by unprecedented levels of debt. The QEs merely shifted debt from the private sector to the public sector. And, in the end, the only real way to de-lever is to devalue debt. 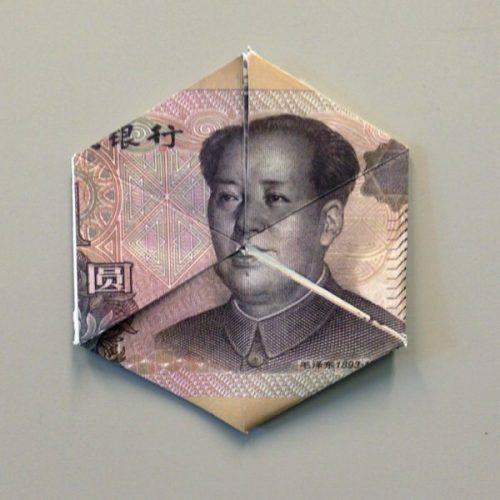 So the power of the Hexaflexagon will be to generate not asset inflation, but price inflation. When that occurs, it will finally begin our much-needed deleveraging. And perhaps, if the Hexaflexagon can achieve all of that—asset inflation, wealth effect, price inflation, debt devaluation—perhaps then, the US economy will begin to recover. But monetary policy is a Dark Art: difficult to control and teeming with unintended consequences. 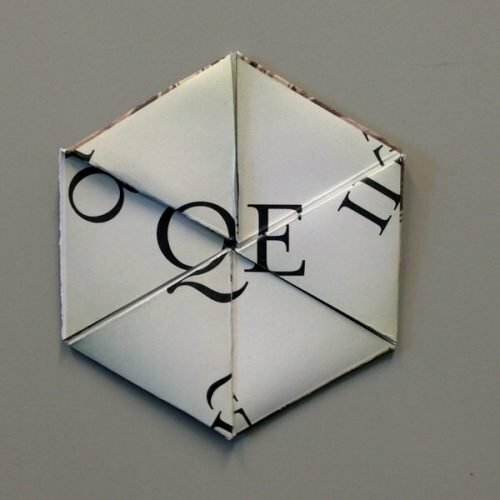 None of us know the power of the Hexaflexagon. Through all of its contortions and convolutions, the Hexaflexagon might manage to devalue not only our massive debts but also the value of something much more fundamental: our credibility. 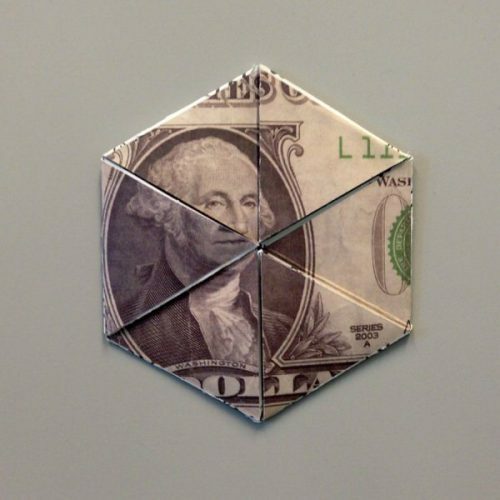 Economists and central bankers caucused, brainstormed, and debated and finally developed an elaborate (if desperate) plan…and created a small device; simple and complex, small and expansive, playful and powerful: the Financial Hexaflexagon.